The Ministry of Health just announced last Sunday that there will be another compulsory healthcare scheme which all Singaporeans and PR from the age of 30 to 40 will be automatically enrolled in starting from 2020. In future, everyone who reach 30 years old will be compulsory enrolled in this scheme as well. Currently, all Singaporeans and PR are also insured under the Medishield life scheme which covers for some basic hospitalisation bills. This is also a compulsory scheme. What is Careshield life all about? Careshield life is renamed from Eldershield and is an enhanced version of it. Careshield life will provide monthly income for those who become severely disabled and cannot perform 3 out of the 6 daily living activities. It will be compulsory for those age 30 to 40 in year 2020 and also future cohorts of those who turn 30 years old. This means that it is compulsory for everyone who is born on or after 1980. For those born in 1979 or earlier, you can still remain on your current Eldershield or opt in to the new Careshield life if you are not disabled. It is reported that this can be done from 2021 onwards. 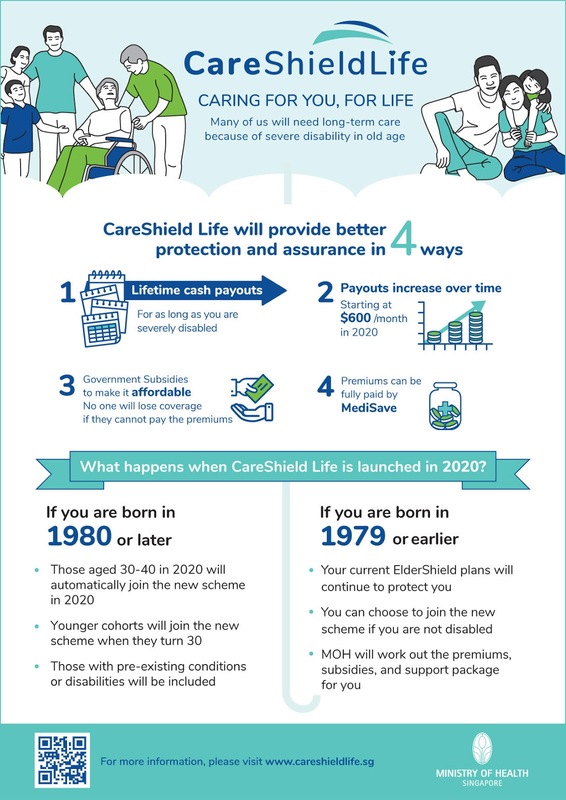 The best news for this Careshield life is for those who are born on or after 1980 and have disabilities currently, they will still be auto enrolled in this scheme and get the payout immediately. They just have to pay a 1 year premium and get the monthly payout of $600 for the rest of their lives. This will lessen the burden of the caregivers who are taking care of these young persons who are mostly their parents. How much premiums do I have to pay? One question we will all have is how much do we have to pay for this? This is definitely another expense which is in a way forced even if we don't want to pay for it. Fortunately, this can be paid using our Medisave, similar to the premiums we pay for our Medishield life. Premiums to be paid by each individual at different age will be different. Males and Females will pay different premiums also with females paying higher premiums as statistics shows that women live longer than men. The premiums payable is expected to go up by 2% for the first 5 years and continue to go up as needed. There will be a council set up to review the premiums thereafter. A 30 year old male will have to pay premiums of $206/year starting from 2020. If you are age 40 in 2020, the premiums payable will be $295/year. The premiums will increase by 2% every year for 5 years so a 30 year old male in year 2020 will be paying premiums of $223/year in 2025. For a 40 year old male in 2020, the premiums would go up to $320/year in 2025. For females, the premiums would be higher but i do not have the exact information on it yet. The premiums will be paid until age 67 but coverage will still continue for life. All in all, the total premiums paid will be around $10,000 or more for 37 years. The thing I do not like about the increasing premiums is that there is no certainty of how much premiums I have to pay say 20 years from now. Don't forget we still need to pay for Medishield life premiums and adding up this Careshield life, it can be quite significant in the future and most of us would not have much left in our Medisave account. The premiums for Careshield life as compared to Eldershield definitely increased and without certainty also. For the current Eldershield, a male person at age 41 only needs to pay a fixed premium of $295/year up to age 65 years old and still get the same $600 lifetime payout coverage. For Careshield life it is $295/year at age 40 with increased premiums every year. Fortunately, there is permanent means test subsidies of up to 30% for the lower to middle income Singapore residents. There is also transitional subsidies of up to $250 for the first 5 years for all future cohorts of Singapore Citizens. The good thing is there is increased coverage also so we might be looking at around $1200/month payout in our 60s. This brings me to my next point on how much payout will we receive in the event of disability? How much payout will I receive in the event of disability? In the event if a person becomes severely disabled and cannot perform 3 out of 6 daily living activities, he or she will receive $600 per month from 2020. This payout is expected to increase 2% for the next 5 years. So for example if a person is enrolled into the scheme in 2020 and becomes severely disabled in 2025, he or she should get about $660 per month for their whole life. I think this is fair since the premiums are increasing also. The plan is to have a payout of $1200/month at age 67 for those who are age 30 in year 2020. I think many people will wonder why does this scheme have to be compulsory? Another thing which will be on most people's mind will be that I don't need this disability coverage at age 30 since I am still young. The politically correct answer which the government had gave is that they want to create an inclusive society where everyone chip in a bit to take care of one another. While this sounds good, I think it is human nature to ask what is in it for me? I've already saw many feedback and from conversations with my friends, most of us would think disability won't really hit us at least for now. Who will want to be disabled at a young age anyway? Its not just about money but also not being able to have the quality of life and do what we like if we do get disabled at a young age. It has always been the government's way to risk pool everyone together. The CPF life works in this way too where the younger people contribute to the CPF pool of funds to support the payout of older people. The fund is always invested to generate interest income to support those who are drawing down from it. Medishield life was implemented also to cover even those with pre-existing illness. For this new Careshield life, those who have pre-existing disabilities are also covered but only for those born on or after 1980. This means that for those who have pre-existing disabilities but are born in 1979 or earlier and do not have Eldershield, they will not be included in this scheme at all. I found out from MOH that they did consider covering everyone with pre-existing disabilities but the premiums will be too high for most to afford so this plan was put aside. However, MOH did say that they are also concurrently reviewing the other long term healthcare schemes in order to support this group of people who are left behind. It may take some time for more information to be available. I do not have the statistics for disability trends in Singapore but from MOH's data, it is 1 in 2 healthy Singaporeans aged 65 could become severely disabled in their lifetime. How true this is, is anybody's guess. What I do know is that if we really do have family member's who become disabled, the financial strain can be quite difficult to cope coupled with emotional stress. I have seen this happen to a few of my relatives due to accident or illnesses. It is more common than we think. This Careshield life is the first step to provide support in the event if really disability happens. For more information on Careshield life, you can refer to MOH's website here. Hyflux has been the talked of the town among the investing community as they had recently announced the commencement of court supervised process for reorganisation. This is to protect them from creditors as they sort out their debt issues. Shares of Hyflux and its related securities were halted for trading since 21st May 2018. It is unknown what will happen from now. Hyflux was a rags to riches story. However, at this point in time, the rags to riches seem to have overturned. The question is will it survive the crisis and will investors get back their money? In this post, I will try my best to dissect its business and only focus on its balance sheet and equity. Hopefully this will give us some clue to what is happening and what will happen in the future. Who are the people who should be worried? For ordinary shareholders, there will surely be losses incurred as Hyflux's business has not been doing well with a negative financial position for FY2017. With the current suspension, I don't see any light at the end of the tunnel at least for the near term as they face a really challenging business environment in the energy market. For those who invest in the perpetual securities, the previous Hyflux 6% CPS which were supposed to be redeemed in April were unfortunately not and the interest was stepped up to 8%. In addition, there is another $500 Million 6.00% Perpetual Capital Securities (SGX:BTWZ) which should have coupon payment on 28 May 2018 but no payment will be made as announced by Hyflux. Whether these 2 perps will be redeemed in the future is also a question mark. If they can sell their assets and repay the bank loans and still have leftover to redeem the perpetual securities, then it could happen. Otherwise, its mostly a waiting game now. For bond holders, the likely scenario is that Hyflux will propose an extension for the bonds maturity. It may still be redeemed if Hyflux's business can turn around in the future. There are indeed many uncertainties but I don't think all is gone for the time being. Let's take a look at its financial statements to assess the impact properly. As at 31st March 2018, Hyflux had total liabilities of $2.6 Billion with total assets of $3.6 Billion. Out of its $3.6 Billion assets, it has $233 Million in cash and equivalents. Most of its assets are held for sale of $1.4 Billion which is the Tuas Spring plant it is trying to sell. Out of its $2.6 Billion liabilities, $361 Million are loans and borrowings which have to be repaid in 1 year and another $1.2 Billion of loans and borrowings which are repayable after 1 year or more. Looking at this situation alone, Hyflux's ability to repay the loans and borrowings due in 1 year's time is questionable. The perpetual securities are not listed as liabilities but as equity even though these perps are actually also loans to the company. The Hyflux 6% CPS is listed under share capital in the owner's equity statement. This is about $400 Million. 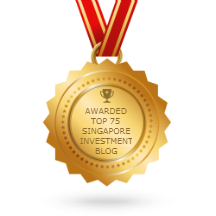 The 6% Perpetual Capital Secutiries (SGX:BTWZ) is worth $500 Million. In essence, they have another $900 Million worth of securities to redeem and pay back on top of the $2.6 Billion liabilities. With all the numbers above, now the question is will Hyflux survive? Let's say if they are able to sell their Tuas power plant at $1.4 Billion, this will allow them to payback the $361 Million loans and borrowings due within 1 year and still able to redeem at least the $400 Million Hyflux 6% CPS which was supposed to be redeem in April 2018. However, the situation can be much more complicated than this as other creditors such as the banks and other senior unsecured creditors will not be happy if they use the proceeds to redeem the CPS. For those holders of BTWZ, it might be harder as there is no fixed maturity and this was only launched in 2016. The first callable date is in 2020. Now, this situation is dependant on 2 main issues. The first is whether Hyflux can sell its asset, especially the Tuas power plant for that $1.4 Billion. This will give them the cash to pay back some of its loans and redeem the CPS. The second is whether Hyflux can come up with a good proposal for all its creditors so that nobody brings them to court. It will get ugly if that happens. Now, the court protection is for 30 days so there will surely be more news after 30 days. This protection will allow them to focus on the pressing issues of restructuring their business. It is not all over for investors of Hyflux. For ordinary shareholders, perhaps they will be the worst hit as it is unlikely that Hyflux will turnaround its business in the near term. The focus now is to clear its debt obligations so that it can still be in business. For bonds and perpetual securities investors, Hyflux might be able to redeem the loans if they can liquidate their assets or if there are new investors who inject funds into the company. If not, the situation will be bad also. Let's see what happens this year. After the craze for Bitcoin and other crypto-currencies, it would appear that the trend is currently in favour of Gold. Indeed, the collapse of crypto-currencies (loss of 70% of the total value of virtual currencies) in recent months and especially Bitcoin which fell below 7 000 USD, encourages investors anxious to preserve their capital to move towards precious metals. But first of all, what is Bitcoin and what is its origin? Bitcoin would have been invented by a Japanese named Satoshi NAKAMOTO in 2009. However, this remains a rumour as many people have proclaimed themselves as the inventors of the famous digital currency. The Bitcoin principle is quite simple. It is a new currency outside the banking system based on what is called the "Block-chain". The block-chain being metaphorically a chain of bicycle of which each link is a book of account which lists a great number of transactions. In a classic banking scheme, transactions are collected in the bank's computer and validated by the bank. In the case of Bitcoin, transactions are validated by the block-chain which is distributed on a multitude of computers around the world that download and validate transactions from the block-chain. Namely that these computers generally belong to private individuals and are paid in Bitcoin for their work. These are called "miners". Therefore, the advantage of the block-chain lies in these computers whose system is very secure thanks to the many mathematical algorithms used. A transaction cannot be usurped. On the other hand, the reliability of crypto-currencies has been called into question several times following computer bugs. Moreover, like any currency, Bitcoin is subject to speculation and is as likely to appreciate in value as to lose. Indeed, the Bitcoin having plummeted by more than 60% of its rate since the beginning of this year, worried investors are forsaking digital currencies to transform them into a more real and ancestral value such as Gold. For example, Bunker Gold&Silver, a leading precious metals dealer based in Singapore, whose customers have turned away from crypto-currency in favour of physical gold. Investors fear and worry that the massive price appreciation is not sustainable. More and more people are realising that these digital assets have much higher levels of risk than traditional assets. The advantage of gold is the fact that there is no password or digital wallet to lose, volatility is much lower, growth is historically sustainable and most importantly, you can hold your investment in your hands. Indeed, gold is considered as the safe investment because it has existed for 4 000 years against other currencies such as the US dollar which is the current world reference currency. For example, after a long period of stability between 1792 and 1971 (-100.00 USD on average), its price has soared to over 1,000.00 USD and is steadily increasing. Today, the gold price is approaching 1,400 USD/OZ. One of the good reason to invest in Gold is for insurance against a financial meltdown, disintegration of fiat currency and or crypto-currency collapse. This is why many investors buy physical gold with their Bitcoin in the end. Why TPG Telecom Is Not A Threat To The Incumbent Telcos In Singapore? The telecommunication industry is set to change in the near future with the fourth telco, TPG telecom starting business in 2019. However, I don't think this will be a threat to the incumbents in Singapore and I will tell you why in this post. Previously, I spent 6 years in the telecommunication industry working as a telecommunication engineer. Deploying mobile networks was bread and butter for me and I know this industry inside out including the challenges of setting up base stations all around Singapore just to provide the coverage that is needed. TPG Telecom announced on 19 March 2018 that it will be launching its first mobile product aimed at seniors aged 65 and above, offering several free perks for them. TPG said it will offer this group of customers a SIM card, 3GB of monthly mobile data and unlimited local calls for free for the first 24 months. This is actually a good move to get customers on-board. However, I would think those who subscribe to the new telco will face a risk of poor network coverage. Why is this so? TPG telecom has to provide outdoor street level coverage for 4G within 18 months from the start of the new spectrum rights. This should be done by December 2018. However, do note that this is only for outdoor coverage and not for indoor coverage so the mobile coverage is expected to be weak in buildings and underground premises all around Singapore. Under the spectrum rights, they are only suppose to meet 85% of In-building coverage by 1 Jan 2020 and 99% MRT underground stations coverage by 1 Jan 2022. Imagine subscribing and paying for your mobile phone bills and realise you can't use your phone in your office building, shopping malls and while you take the train? This is a scenario which is highly likely. Before I go into In-building and MRT underground stations coverage, let me talk a little bit about outdoor street level coverage. In order to deploy a mobile network which covers outdoor areas, mobile base stations have to be built and connected to an antenna which transmits and receives signals. These base stations are mostly deployed at roof tops of HDBs, private residential buildings as well as commercial buildings all around Singapore. It is said that TPG has to secure spaces for 3000 base stations in order to meet the network coverage required. This deployment will not be cheap or easy at all. From my own experience of deploying mobile base station, many roof tops in Singapore have already limited spaces to deploy these mobile base stations. There is constantly a need to seek approval from relevant authorities and private building owners for this. There are also requirements to meet safety standards so the antennas cannot be deployed just anyhow. The challenge is there and I'm not sure how TPG is able to deploy their network in such a short time with existing spaces on roof tops of buildings already taken up by the incumbents. Furthermore, base stations and antennas are not cheap. I will not reveal the actual cost of these materials but from what TPG said that they are predicting to spend between $200 million to $300 million for the rollout of its mobile network here, I really think they will most likely over spend on this budget. For your information, according to M1, their fixed asset cost for network and related application systems already cost $517M as at end Dec 2017. This is almost double the budget of TPG telecom. For Singtel, they indicated that they spent $150M just to upgrade their network from 3G to 4G a few years ago. In my opinion, TPG telecom's budget of $200M to $300M seems too low to deploy a new mobile network in Singapore from scratch. For in-building coverage, it is even more complicated thus the reason why the authorities gave more time to meet this network coverage. In order for mobile coverage to work in buildings, TPG telecom will have to build a base station inside the building itself and lay cables and indoor antennas all over the building just to provide the mobile coverage. You can look up the ceiling of buildings in Singapore and you'll notice some small cone antennas which has the sticker Singtel, Starhub or M1. These are the antennas of the incumbents and the reason why we can use our mobile phones inside the building. The deployment of mobile coverage inside buildings is a tedious job. Because of the need to lay cables practically on all areas of the building, the job process is long and costly as well. This can only be done at night when the office building or shopping centres are closed. It takes a few months just to complete one building in Singapore. For bigger buildings, it can take up to a year. Can you imagine how many buildings are there in Singapore? The next level and the most difficult is deploying mobile networks in MRT underground stations and the tunnel itself. In my work experience, it is practically hard to get the mobile network to be deployed in the MRT underground tunnels. The reason is simply because there is limited time for the company to work in the MRT underground tunnel network. Most of us should be aware that there is major MRT infrastructure upgrades all across Singapore. There is limited maintenance engineering hours because the MRT runs all the way to midnight and starts early in the morning. As such, there is early closure and late opening of the MRT operations since the end of last year just to cater more time for MRT infrastructure upgrades. The priority will always be given for MRT upgrading works and track access is always controlled by the operator themselves. I am of the opinion that TPG telecom will have a hard time deploying their mobile network in the MRT tunnels as they compete with the MRT upgrading work projects and the limited hours available. The incumbents took many years to upgrade their mobile network from 3G to 4G in the MRT tunnels and some parts are still not ready yet even until now. It is unlikely that TPG telecom can have much mobile coverage in the MRT tunnels itself. Another failure in the making? It will be tough competition for 4 telcos to exist in Singapore altogether. Especially for the 4th telco, it is exceptionally hard to operate in Singapore itself. In the past, there was also another fourth telco in Singapore but it failed and exited the Singapore in 2001 just 1 year after it started. This company was Virgin mobile. Besides that, a lot of mobile virtual network operators (MVNOs) have already started their business in Singapore. 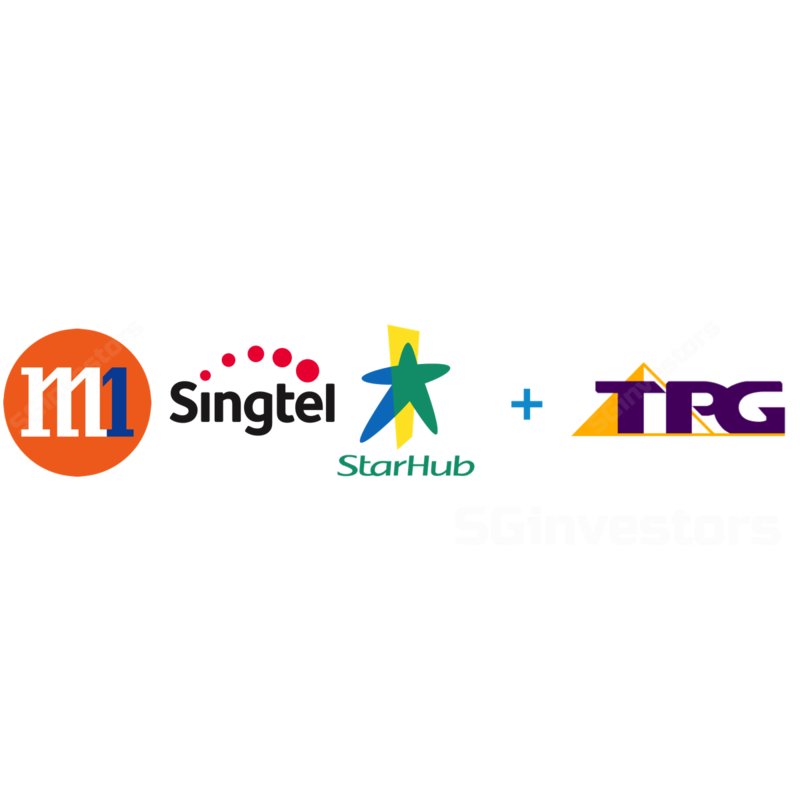 Some of these operators are Circles life, Zero Mobile, Zero1 and most recently My Republic also announced they will partner with Starhub to start their mobile services. How is TPG going to compete in an already saturated market? 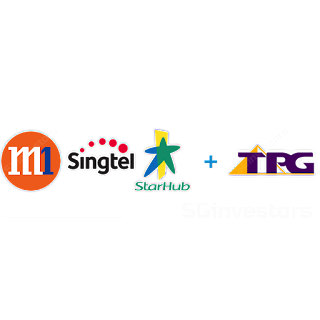 Because of the impending entering of the fourth telco, shares of Singtel, Starhub and M1 were depressed for quite some time now. When Singtel shares went lower to $3.40, I accumulated more along the way and it is currently the largest stock holdings I have in my portfolio. I believe Singtel will be the less affected by the fourth telco even though there are other things to consider when investing in Singtel such as its weaker overseas business. Ultimately, let's see how the telecom industry develops in Singapore. The future will speak for itself when the time comes.